If Highlands was once the under appreciated neighborhood across the highway from Downtown, then Sunnyside was once the forgotten neighborhood to Highland’s north. Today, Highlands is getting much of the respect it is due, and Sunnyside has assumed the mantle of under appreciated neighborhood. 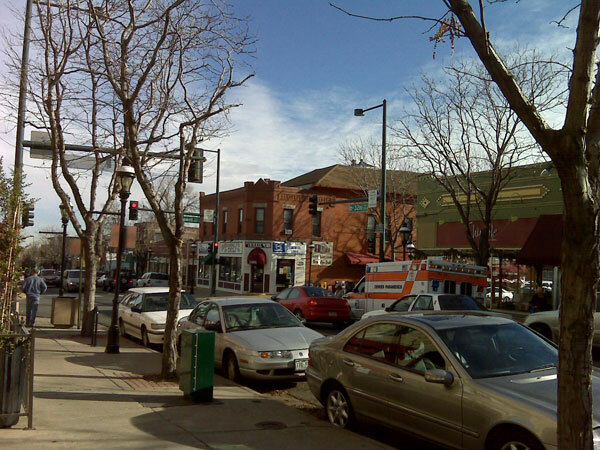 Bounded by Inca Street on the east and I-70 on the north, Sunnyside sits in the crook of Denver’s transportation lifelines. Federal Boulevard and 38th Avenue round out the area’s borders. Thanks to the fact that neither interstate has an off ramp into Sunnyside, the neighborhood is a community of mostly single-family homes with some industrial and commercial areas to the north and east along existing and former railroad tracks. The homes in Sunnyside almost universally have yards in both front and back, and mature trees are the norm. Sunnyside’s gathering places include Chaffee Park and the Aztlan Recreation Center with its outdoor swimming pool and indoor basketball court and gymnasium facilities. The recreation center sits across from the Quigg Newton Center another local facility with several rooms and offices serving as a contact point for an array of city services and local events. As a less known neighborhood, home values in the area have appreciated, but remain lower than the adjacent Highlands area. With many of the same amenities, a large number of rehabbed homes, and great proximity to downtown, this is a lovely neighborhood for someone looking to live in North Denver without breaking the bank.